Success is an on-going process. Steve Scott is a professional judo, sambo and jujitsu coach residing in Kansas City, Missouri. He was born in 1952 and is a graduate of the University of Missouri-Kansas City. He holds 8th dan (Hachidan) rank in judo and 7th dan rank in shingitai jujitsu. Steve is the author of over a dozen published books on the subject of judo, sambo and other Martial Arts. Starting his judo career in 1965 and his sambo career in 1976, Steve has been active at all levels of competition, coaching and administration in different grappling sports, primarily judo, sambo and jujitsu. He has personally coached four World Sambo Champions and a member of an Olympic Judo Team and hundreds of medal winners in national and international competitions in judo, sambo, sport jujitsu and submission grappling. He founded the Welcome Mat Judo Club in 1969 where thousands of people have trained, and continue to train, in a variety of martial arts. Steve has been active as a U.S. team coach in national and international judo and sambo competitions, training camps and other events. He was the coordinator and Head Coach for U.S. Judo, Inc. under 21 national judo team as well as the chairman for the coach education program. 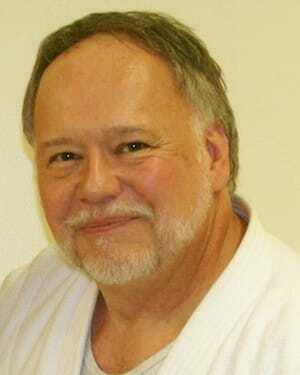 He is considered a pioneer in sambo in the United States and is a member of the U.S. Sambo Association Hall of Fame. He served as the team coach for numerous international judo, sambo, sport jujitsu and submission grappling events including the World Judo Championships (under 21) in France and Argentina, Pan American Games for sambo in Venezuela, International High School Judo Championships in Japan, Pan American Judo Championships in Mexico and Dominican Republic, British Open Judo Championships in Great Britain, International Sport Jujitsu and Submission Grappling Games in Wales, as well as International Judo Tournaments in Cuba, East Germany, West Germany, Sweden, France, Canada and numerous other countries. As the national under 21 Judo team coach, he coached at numerous national and international judo training camps held at the various U.S. Olympic Training Centers in Colorado Springs, Colorado, Marquette, Michigan and Lake Placed, New York. Steve is the innovator of the Freestyle Judo contest rules used by AAU Judo as well as the innovator in women’s sambo in the United States, having hosted the first women’s U.S. National Sambo Championships in 1980. Steve was responsible for the Amateur Athletic Union of the United States (AAU) granting recognition to the sport of judo in 1994 after a hiatus of many years. Steve is married to Becky Scott, a past World Sambo Champion, where they continue to live in Kansas City, Missouri.